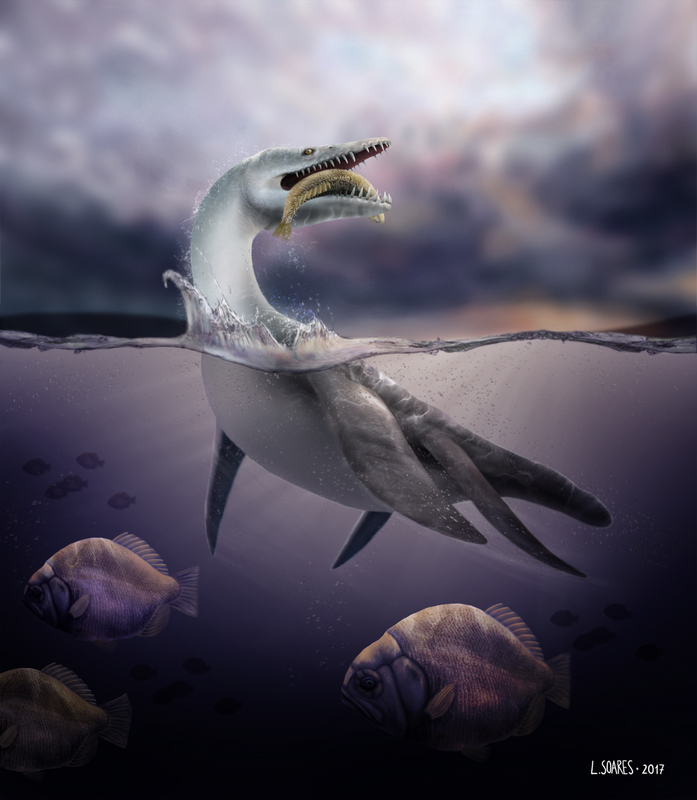 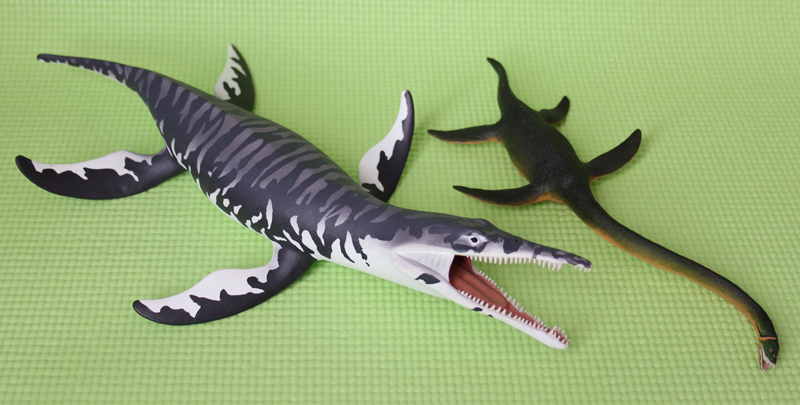 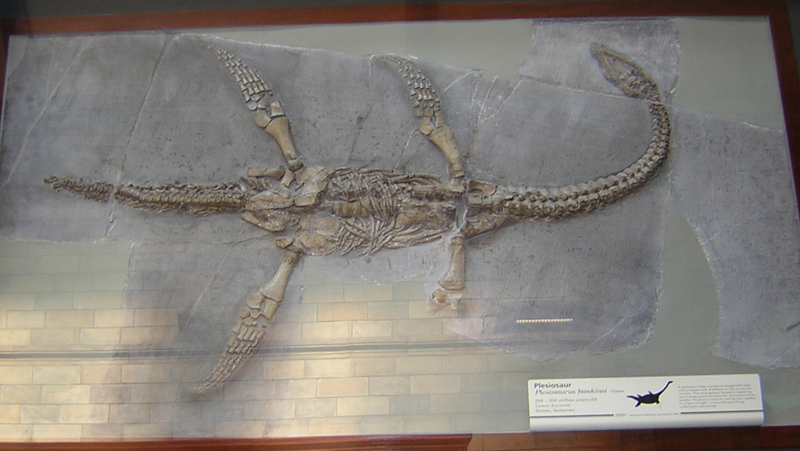 The species Plesiosaurus hawkinsii was introduced in 1838 for a small plesiosaurian from Street, Somerset. 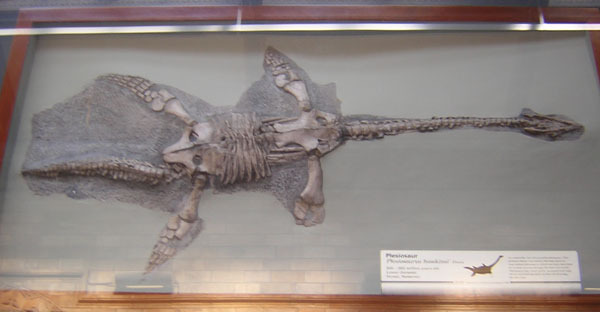 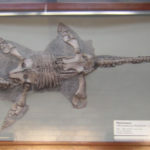 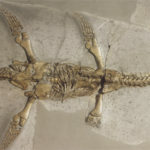 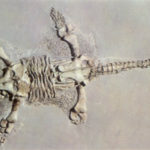 The new genus name Thalassiodracon was erected decades later following an examination of a referred skull in Cambridge (CAMSM J.46986). 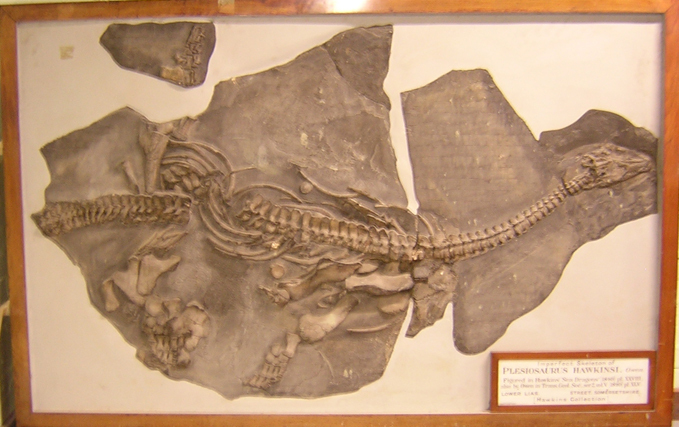 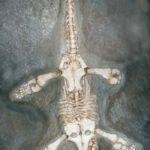 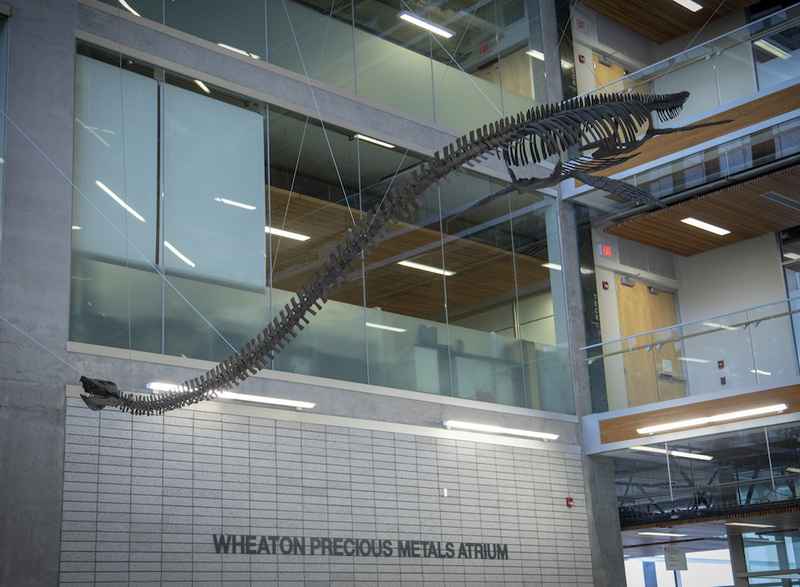 Thalassiodracon means ‘Sea Dragon’, which “alludes to the colloquial description given to the Street marine reptile fauna by Hawkins” (Storrs and Taylor, 1996, p.404). 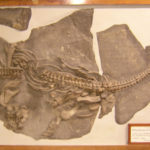 Three specimens were figured by Hawkins’ in his “Book of the great Sea Dragons” (1840). 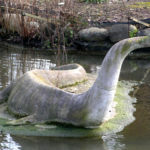 Thalassiodracon is frequently regarded as the most basal pliosauroid. 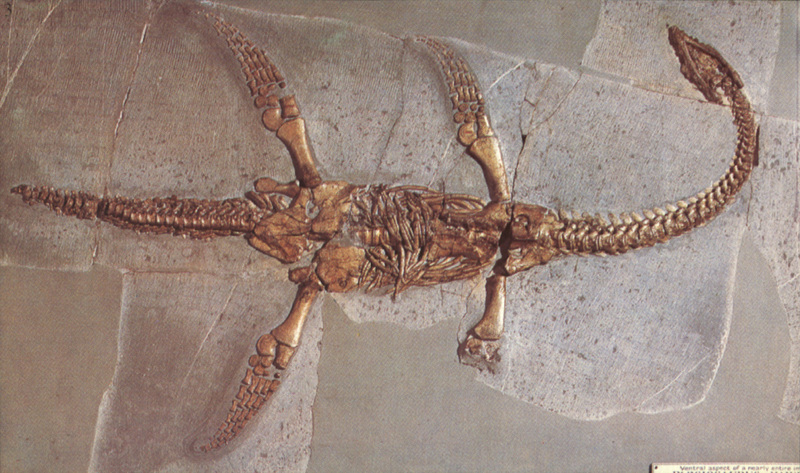 T. hawkinsii is the type and only species. 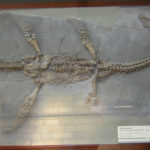 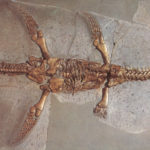 The type specimen is NHMUK 2018*, a complete skeleton. 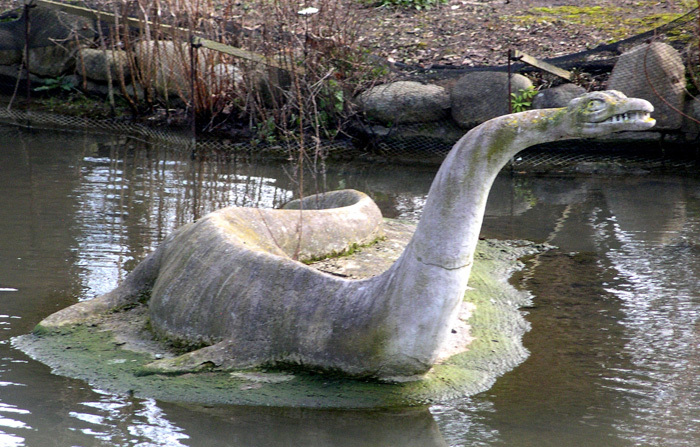 Thalassiodracon hawkinsi model at Crystal Palace Park, by Benjamin Waterhouse Hawkins.